In this stargazing guide we give plenty of background on MaunaKea and explain how you can visit the Maunakea visitor center and/or see the telescopes and sunset at the summit. What’s in a name: Mauna Kea or MaunaKea? If you like stargazing you should definitely have a look at our astronomy calendar for the Big Island to see if there is any good excuse to look up at the stars during your stay in Hawai’i. If you like looking at the stars or telescopes a visit to the Big Island is not complete without some serious stargazing. What better place to do so than on the highest volcano in the state? The trip to MaunaKea takes you over Saddle road, which is the road that connects Waimea and Hilo. You can visit the telescopes at the summit during daytime and stay for up to 30 minutes after the sun has set. Maunakea also is one of the best places to see the sunset on Hawai’i, and considering the competition that says a lot! You will see the sun dip below the clouds in a spectacular explosion of color, framed by (snowy) peaks, old volcanoes, and futuristic world class telescopes. If you decide to visit the summit, please be respectful. 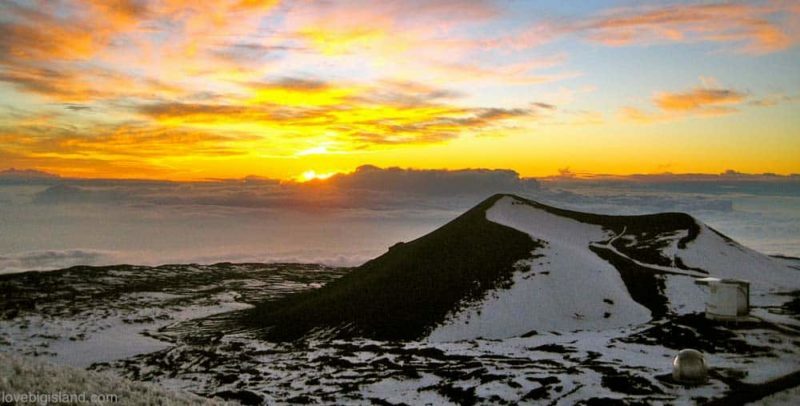 To Hawaiians the summit of MaunaKea is sacred: it is the place where Poli‘ahu (a snow goddess) lives. Visit the summit with an organized tour. There are two logical destinations on MaunaKea if you want to visit for stargazing:  the visitor station halfway up the volcano, and , the telescopes at the summit. You can reach the visitor station with any car. To get all the way to the summit you need a 4WD car with good breaks to navigate the steep and winding gravel road to the summit. The visitor information station (official website) is officially called the “Onizuka Center for International Astronomy Visitor Information Station”, and is named after the Hawaiʻi-born astronaut Ellison Onizuka who died in the Space Shuttle Challenger disaster in 1986. To reach the visitor station you have to follow Hwy 200 (Saddle road) until you get to the Mauna Kea access road (around mile marker 28, across the street from the Pu’u Huluhulu Cinder cone parking lot) and follow that road up. 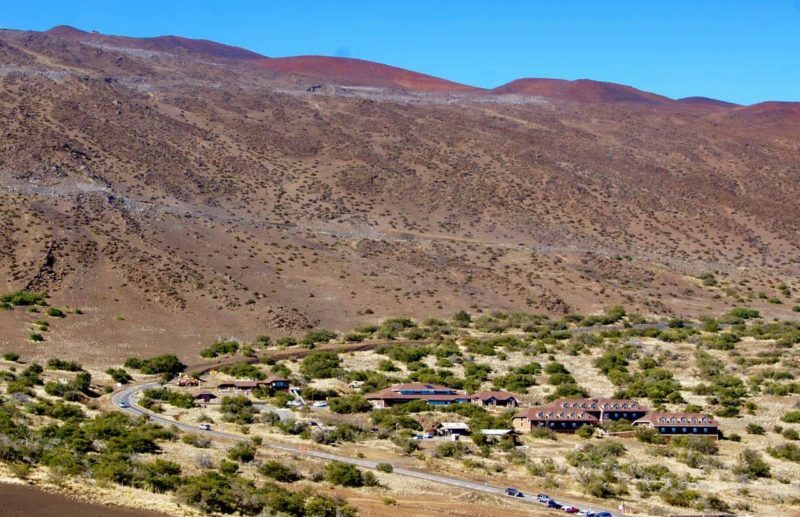 The visitor center is located ~halfway up the Maunakea volcano at 9.200 ft elevation. Make sure that you have a full tank of gas before you start the ascent as the nearest gas stations are ~35 miles (50 km) from the visitor station. In the visitor center you can watch a video about astronomy. There also is information on display about the Maunakea volcano and a small souvenir shop where you can buy souvenirs, hot and cold drinks, and snacks. At night, local volunteer astronomers set up telescopes outside of the visitor station and let visitors use them under supervision as part of their free nightly stargazing program (official website). The stargazing program is organized four nights / week between 6:00 pm and 10:00 pm. These nights are: Tuesday, Wednesday, Friday and Saturday (weather permitting), and reservations are not needed. There is a special stargazing program every 1st, 2nd, and 4th Saturday of the month. There will be NO free stargazing program at the visitor center between December 9, 2018 and ~June 2019 because of a renovation and improvement construction project. Nighttime stargazing at the VIS will be suspended during this period, but the VIS will remain open seven days a week with the same opening time of 9 a.m. Please be aware of the possibility of long lines and scarce parking at the Visitor Information Station on these evenings until ~1.5 hours after sunset. Parking at the VIS is available for up to 115-vehicles on a first-come, first-served basis. Once the parking lots are full, all vehicles will be turned away. The summit is at 4,205 m (13,796 ft) elevation. This high altitude carries serious health risks, most of which can be minimized by stopping for at least half an hour at the visitor station to acclimatize. You need a 4WD car to drive to the summit of MaunaKea, no 2-wheel drive vehicles will be allowed past the end of the paved road just above the VIS. 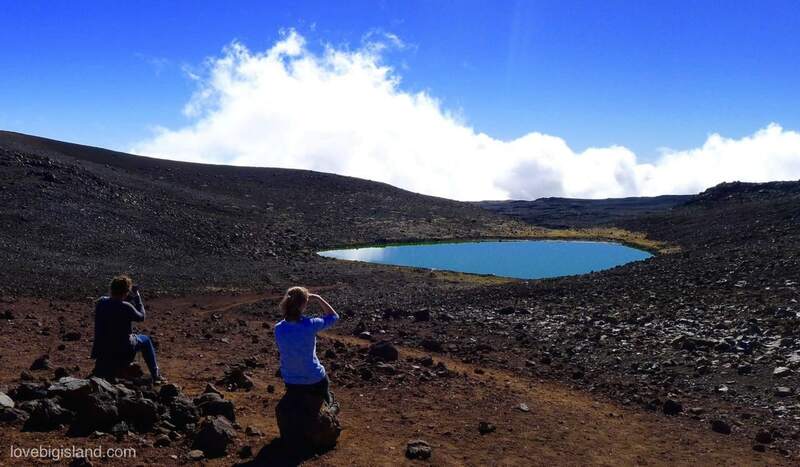 Most 4WD rental agencies do not allow their cars to be taken up to MaunaKea., have a look at Harpers Car Rentals for rental cars that you can take up to the summit. The observatories at the Mauna Kea summit maintain a website showing the road conditions of the road up to the summit. Please have a look at it here to see if the road is open and to find out what the conditions are like that you are com (high winds, ice, and snow on the road are al within the realm of possibilities). You will not be able to use the telescopes on the summit or to enter the buildings. After sunset the summit is off-limits and visitors are expected to drive down soon after the sun has set. The Subaru telescope organizes visits to its telescope during daytime. There is limited availability but especially if you like planning ahead this could be something for you. See the ” visiting the Subaru telescope” website for more information. If you have been scuba-diving, wait at least 24 hours before going to the summit. Dress warm!! After the sunset temperatures can drop as low as 30 – 40 degrees F. Also, bring snacks, sunscreen, and water. There are currently eight tour operators that are permitted to take people up to the MaunaKea summit. These operators are guaranteed to employ knowledgeable guides and bring their own, portable, telescopes. This means that next to a visit to the summit during the sunset you will get to experience a personal lesson in stargazing from your guide. The tours supply arctic parkas and thick gloves to keep you warm, snacks, and water. Depending on the tour you choose dinner can also be included. Expect the tour to last an average of 8 hours. Our favorite tours are organized by the professionals of Hawaii forest and trail because they employ knowledgeable and interpretive guides and respect the local customs and habitats. You can now also book tours with them via our website, see our new “tours to Mauna Kea” section! 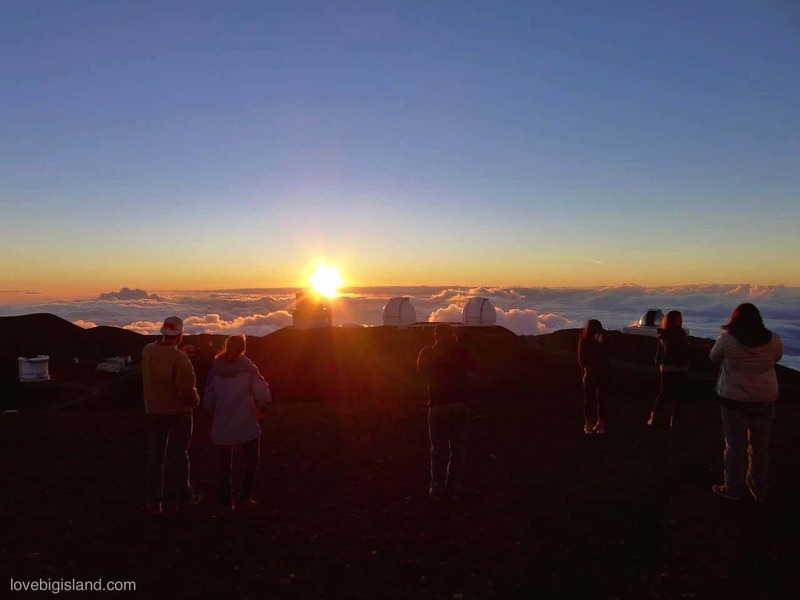 You can compare several of the above tours to the Maunakea summit on the HawaiiActivites1 website. The Kama‘āina Observatory Experience is a free monthly community event that provides local residents with an opportunity to visit the summit, see world-class telescopes, and learn about the mountain in a holistic manner. It is organized by the Maunakea Observatories and the ‘Imiloa Astronomy Center. Tours are scheduled every third Saturday of the month for individuals 16 and older with a valid Hawai‘i ID. You will need to show your Hawaii state ID or Hawaii drivers license on the day of the tour. Reservations are required and will be available on a first come, first served basis, with a maximum of 24 available reservations per tour date. The maximum group size per reservation is 2 people. Read more about the Kama‘āina Observatory Experience. The story of Maunakea gets better. 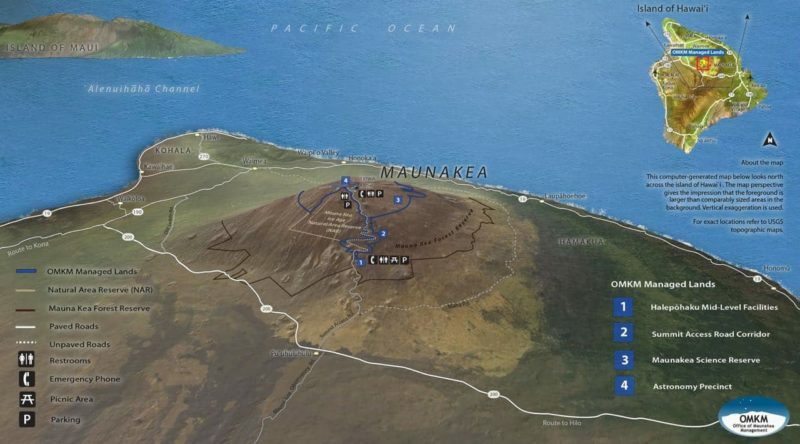 Because the volcanoes on the Big Island are so heavy and because a large part of the volcanoes is hidden under water, MaunaKea is actually higher than Mount Everest. Measured from the base on the ocean floor MaunaKea rises over 10,000 m (33,000 ft) high! If you are in for a hike at high altitude, you can also make a short excursion to the highest lake in the state at 13020 ft: lake Waiau. It is no coincidence that some of the world’s most advanced telescopes are built on the Big Island. Few places on earth are better for watching the heavens above than from MaunaKea! On top of the mountain above the clouds observing conditions are close to perfect, with almost no light pollution and a thin atmosphere between the telescopes and the stars. The following list contains all the telescopes that are currently in operation on the MaunaKea summit. You can find more information on each of them on this website. Which spelling is correct: Mauna Kea or MaunaKea? Both Mauna Kea and Maunakea refer to the same place on the Big Island. Regardless of the spelling people will know what you mean by using either of the two versions. According to the University of Hawaii at Hilo College of Hawaiian Language and following traditional Hawaiian values and the Hawaiian language, MaunaKea (one word) is the correct designation. Maunakea is a proper noun—the name of the mountain on the Island of Hawaii. “Mauna Kea” spelled as two words refers to any white mountain—it is a common noun (vs. the proper noun) [source]. At the summit elevation of 13,796 feet the atmospheric pressure is 40 percent lower than at sea level. This means that less oxygen is available to your lungs and that some people may experience acute mountain sickness. Symptoms of mountain sickness include: headaches, drowsiness, nausea, shortness of breath, and poor judgment. A proper 1-hour stop (at least 0.5 hours) at the visitor center halfway up the mountain will let your body acclimatize and lessen your chances of experiencing any of the above symptoms. Further hazards are dehydration, sunburn and eye damage. Take plenty of water and protect your skin and eyes against the intense UV radiation at the summit with sunscreen and sunglasses.